Having learned to mix at the age of 13, Scot Project got his first break in 1986 playing breakbeat in a youth club. When the acid house movement hit in 1988 Scot Project was hooked on the sound and possibilities that the world's biggest youth culture offered. By 1990 he was a resident of several clubs in and around Frankfurt and could be found spending his pay cheques on a small but potent studio. Scot Project's first track 'X' was released on Overdose shortly after, followed closely by the hugely successful 'U (I Got A Feeling)', which was released on Overdose / Positiva and charted throughout Europe. Soon Scot Project relinquished his residencies to tour the USA, Canada, Brazil, Russia and Europe, developing a loyal fan base across the Globe. He describes his style as; "a combination of hard percussive elements mixed with melodic trance melodies coming in at the break, the perfect combination of sugar and spice!". Having established himself as one of the big names in hard dance, DJ Scot Project was offered a plethora of remixes, including Pulse, Fog, Area and Intercord among others. 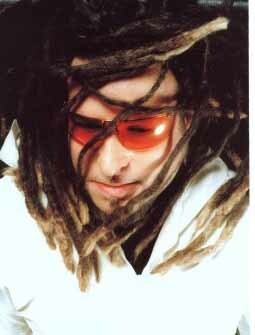 He enjoyed massive success in the UK during 2001, applying the midas touch to; 'Firewire'. Firewire went onto become one of hard dance's most timeless and instantly recognisable tunes. A series of stunning productions and infectious DJ skills will ensure his continued success at the forefront of hard dance music. Dj Scot Project: "My brother introduce me into electro / breakdance music in 1984 ". Dj Scot Project: "Electronic music will never die. I`m sure. I just stop if I'll have no more hands and ears…". How would you describe your DJing style ? Dj Scot Project: "Uplifting Hard trance mixed with different styles like trance , hardstyle or sometimes techno ".